A group of college Republicans was harassed by a self-described communist supporter who at one point threw her drink on one of the men at the table they were manning. The student was later arrested and charged with battery and identified as Shelby Shoup, a campaign worker for Andrew Gillum, who is running for governor of Florida. Video footage captured the exchange on Oct. 30, in which the girl claimed that the Florida State University College Republicans were supporting Nazis. “You are supporting Nazis, do you understand that?” she said. Shoup didn’t respond when one of the Republicans noted that communism is responsible for more deaths than any other ideology, but she did throw her drink, which she said was chocolate milk, on one of the college Republicans. “You are normalizing and enabling Nazis,” she claimed. Florida State University said in a statement on Nov. 2 that the girl was identified, arrested, and charged with battery. “FSU is a diverse community that values and respects each person. FSU expects each member of the community to embrace the values of civility and ethical conduct and obey the law,” the university said. The girl was identified by the Leon County Sheriff’s Office as Shelby Shoup. According to her LinkedIn, she’s a campaign intern for Gillum. The Gillum campaign has not commented on the arrest; another Gillum campaign worker was fired this week for disparaging comments he made about white people and Florida voters. The Republicans were asking people to get out and vote for Republicans in the midterm elections, including former Rep. Ron DeSantis, a Navy veteran who is running for governor, and Governor Rick Scott, who is challenging incumbent Sen. Bill Nelson (D-Fla.). 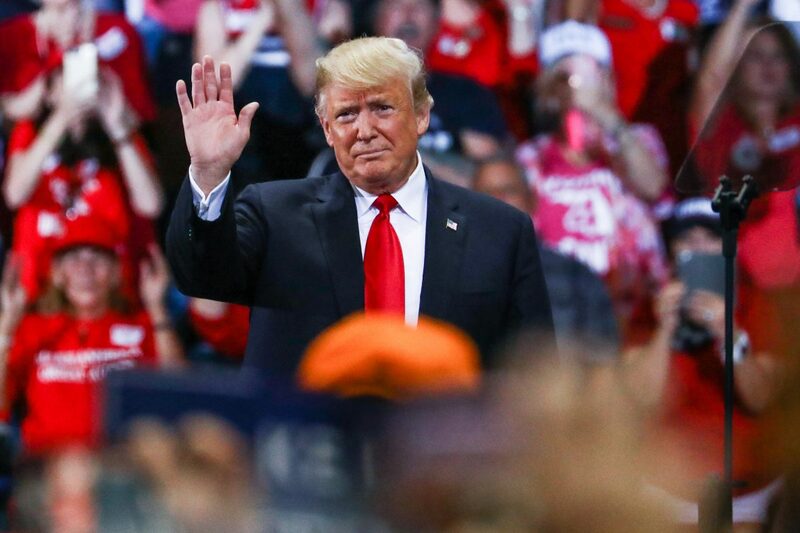 President Donald Trump rallied for DeSantis and Scott on Oct. 31. There are no links between the Florida Republicans and white nationalists, and the girl did not provide evidence for her claims, which sought to link Republicans to the recent shooting at a synagogue in Pittsburgh. The alleged gunman there posted online that he dislikes President Donald Trump, accusing him of being controlled by the Jews, and interacted with another person on the social media website Gab who suggested they burn “Make America Great Again” hats. The alleged shooter said he did not vote for Trump. Contributing to anti-Trump views, the New York Times, among other news agencies, said without providing evidence that Trump caused the Pittsburgh synagogue massacre. Trump has also condemned white nationalists and far-left activists, including the violent Antifa group, which has communist roots. Following the shooting, Trump said the shooter should get the death penalty. He also called for an end to political violence and asked people to come together.